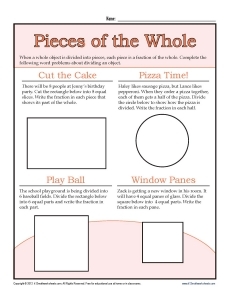 Your student will practice dividing the whole into units in this worksheet. By solving word problems, he'll determine the fractional part the whole. It follows the 3rd grade Common Core Standards for Geometry. It may also be used in other grades as appropriate.